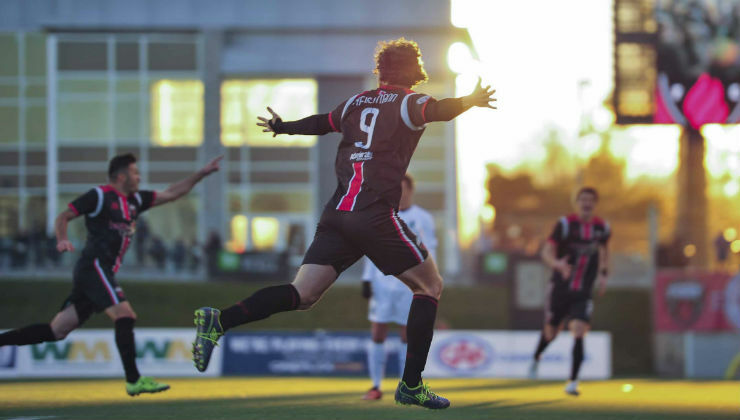 Tom Heinemann scored a goal in the 108th minute to give Ottawa Fury FC a thrilling 2-1 victory over Minnesota United and a place in The Championship Final next week against the New York Cosmos. Heinemann’s goal, his second of the game at TD Place on Sunday afternoon that stretched into Sunday evening, came after a long pass from midfielder Sinisa Ubiparipovic. Heinemann controlled the ball with his chest then struck a left-footed shot that eluded Loons goalkeeper Sammy Ndjock to the far post and sends Fury FC to New York to play for the Soccer Bowl trophy. After Heinemann had scored the go-ahead goal, Fury FC goalkeeper Romuald Peiser was called on to make two critical saves, both against United’s J.C. Banks, a late substitute. In the waning moments, Peiser again came up big, thwarting a header by Greg Jordan from a corner kick. Peiser was up to the task to preserve Ottawa’s victory before 9,346 delirious fans. The game in New York will match the top two teams from the NASL this season: the Cosmos won the Spring Season title and finished first in the Combined Standings on the second tiebreaker over Ottawa, while Fury FC finished in first place in the Fall Season. 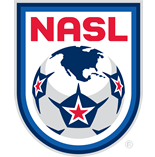 The final will be the first time since 1984 that the NASL Championship will be contested between a team from the United States and one from Canada. Minnesota United and Ottawa Fury FC played an eventful first half of action in The Championship Semifinals. Christian Ramirez scored in the 7th minute from the penalty spot to give the Loons an early lead. Three minutes earlier, Minnesota goalkeeper Ndjock made a fantastic save to keep Heinemann’s header out of the back of the net. Ottawa continued to press in the half, creating several goalscoring opportunities. Andrew Weideman had a free header at the back post in the 13th minute, but he was unable to hit the target. Heinemann had another chance from close range, but his volley went wide of the net. In the 30th minute, Ndjock made another save to keep Ottawa trailing when Julian de Guzman fired from distance off a quick restart, but the Cameroonian ‘keeper was able to parry the shot headed for the top corner. Ottawa got back into the match shortly after the second-half whistle when his low shot deflected off Ndjock’s hand and into the back of the net to equalize. Fury FC nearly took the lead when Heinemann slotted a ball through to Weideman, but his sliding effort came off the post, and Ndjock saved Heinemann’s follow up effort. Defender Mason Trafford made a crucial intervention in the 79th minute when he blocked Ramirez’s effort at the back post. Ottawa opened the first stanza of extra time with two quality chances. Heinemann was clean through on goal, but he sent his shot wide in the 92nd minute. Two minutes later, Oliver, who came on in the second half, sent a volley wide of the far post.